Crafty Happiness: Be Mine, Valentine! I participated in a Valentine's card swap with some local friends and this was my contribution. The hearts are from the stamp set A Love, which is only $7.95! 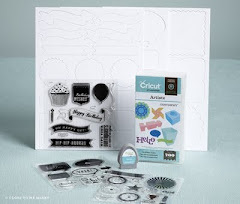 All of our A-sized stamp sets are priced at $7.95, a great entry-level price for stamp sets. I can tell you personally that all of these stamp sets are very versatile. The hearts were stamped on Colonial White cardstock and then cut out with our Micro-Tip Scissors. This is the best scissors I have ever owned! I've had mine since before I became a consultant and I use it every time I am making cards or scrapbooking. I always recommend this to my new customers - it's a must have. 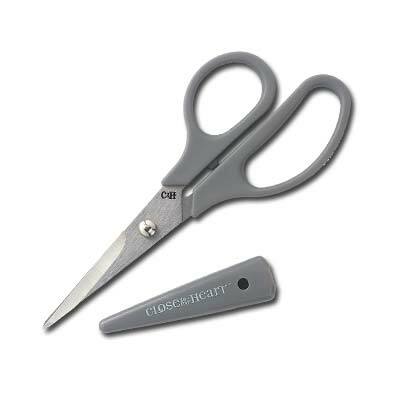 The tiny sharp tip of the scissors makes quick and easy work of cutting out even the most delicate detail, and the safety cover protects the scissors and you!